The Executive Offices of The Ray Charles Foundation are housed at the historic RPM International building. The 11,488 square foot, two -story building was built in 1964 by Ray Charles to serve as his creative home and the global center of Ray Charles Enterprises, Inc. Designed by Mr. Charles and his longtime manager, Joe Adams, the building includes office space and his recording studio, uniquely crafted to accommodate Mr. Charles’ specific personal and technical needs. Numerous award-winning, world-renowned artists and albums have been recorded at RPM International. From “Country & Western Meets Rhythm and Blues,” all the way to “Genius Loves Company,” Mr. Charles’ final recording. RPM International has been an enduring presence in the city of Los Angeles and in the life of the man and his music for over four historic decades. On September 23, 2010, on what was to be Mr. Charles’ 80th birthday, The RAY CHARLES MEMORIAL LIBRARY officially opened its door to celebrate the continuing legacy and genius of Mr. Charles. It became home to the first Memorial Library ever dedicated to the legacy and honor of an artist. Located on the first floor of the RPM International building, The Ray Charles Memorial library underwent a complete renovation in 2017 to include state of the art interactive displays increasing the personal engagement features for visitors. The vision of The Ray Charles Memorial Library is to provide an avenue for visitors to experience music and art in a way that will inspire their creativity and imagination. It is the purpose of this library to create an interactive and artistic platform for youth to tap into their artistic minds and stimulate their senses through the introduction of music and art. The Ray Charles Memorial Library had its inaugural opening on what would have been Ray’s 80th birthday September 23, 2010. In 2010, the Ray Charles Memorial Library was created by Valerie Ervin as a tribute to Ray Charles’ life and works. In 2017, the library underwent a substantial renovation spearheaded by Valerie Ervin, adding innovative technology to the exhibits. The Library is a glowing tribute to Ray Charles …the man, the entertainer, the musician, the philanthropist, the businessman and genius. This library is the first of its kind to be built and created for an artist. It is a unique and historic tribute that has ordinarily been dedicated to presidents of this country. The Library is designed to inspire the lives of visitors intellectually and artistically. It is our hope that Mr. Charles’ life-story of adversity and success will ignite the hope and inspiration of countless youth of all races and economic backgrounds. 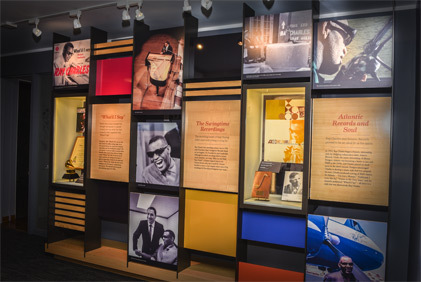 The Library is a state-of-the-art facility with interactive media presentations and exhibits, some of which include special software to allow visitors to ‘remix’ some of Ray Charles’ songs in an interactive music studio setting. 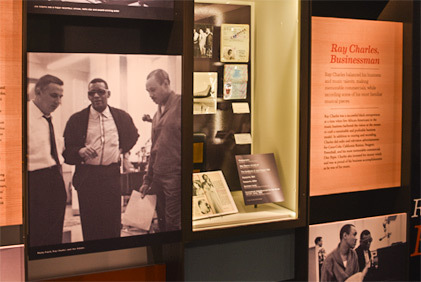 The goal of The Library is not only to provide information about the life of Ray Charles, but also and teach visitors about music and its importance in all of our lives. 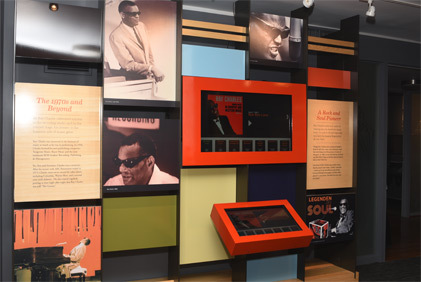 The facility houses actual musical recordings of Ray Charles including high-tech interactive displays that offer visitors a unique opportunity to stimulate their creativity and participate in a world of music and arts. The Library displays many photographs of this music legend. There are displays of film and videos of Ray Charles. 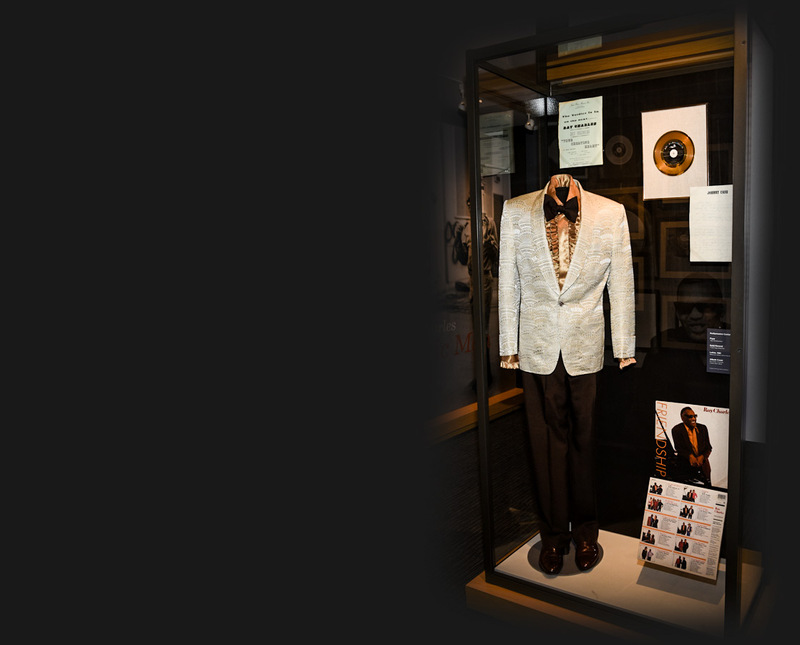 The Library also displays plaques, awards and numerous personal items belonging to Ray Charles, including but not limited to his personal clothing and musical instruments. This combination of memorabilia and history provides a forum to educate visitors about the triumph of perseverance, vision and hope over challenge and adversity. 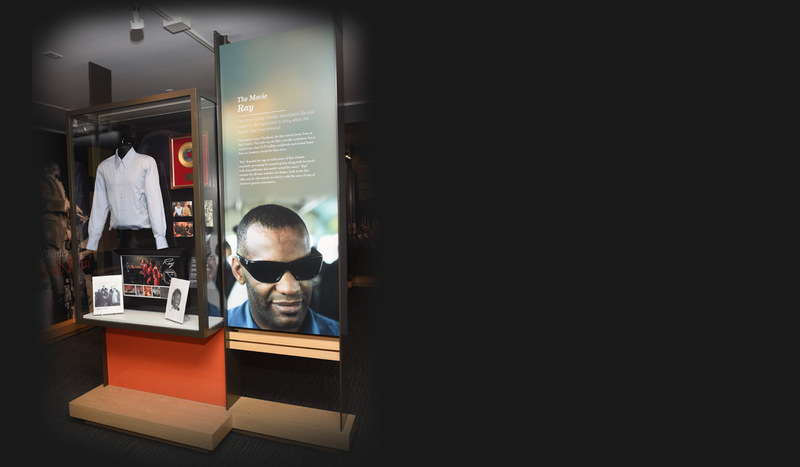 The Ray Charles Memorial Library is a self-guided tour through the life of Ray Charles. Access to the Library is by appointment only.